Sheer sophistication! This unique selection of trimmings features textural and aesthetic details a step above the rest. 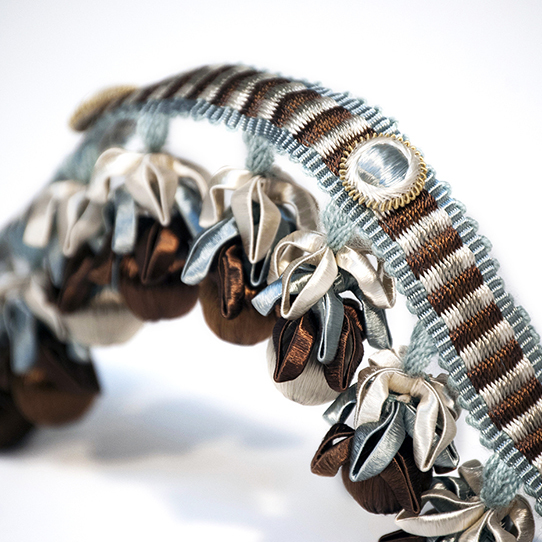 Take in the beautiful ball fringe with button header and brilliantly stacked accents. The rosettes are rich; the silky tassel fringe is elegant; and the cut fringe is simple yet necessary. All the layering pieces you need to create high-end design. Available in eight attractive colorways.